Why do antelopes need lions? What links the Atlantic sand eels to Alaskan Grizzly bears? Can alligators make life easier for raccoons? The answers to these and many other perplexing questions are revealed on Animal Planet's brand new series THE WEB OF LIFE. 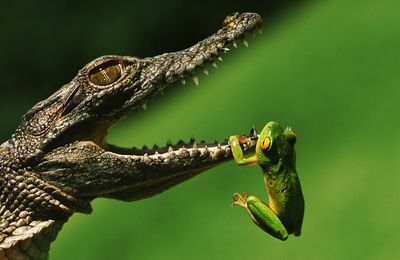 Discover the interconnectivity between prey and predator, host and parasite, and other seemingly unrelated species in this fascinating showcase that illustrates the often incredible relationships between species that compose the drama of life on Earth. THE WEB OF LIFE is a constant balancing act with many unforeseen consequences. From coral reefs to fig trees, African elephants to Dung Beetles, witness the influence of a top predator as it upholds the balance of life, the interactions and actions of a migrating herd for far-flung species, the crucial role organisms play in the maintenance of biodiversities, and the continual process of evolution. 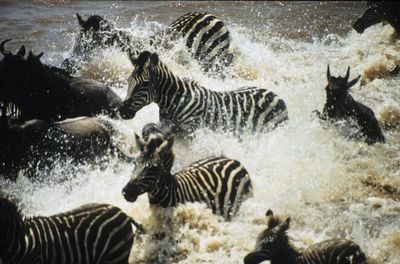 Each episode focuses on a specific animal and shows how this animal affects other species that share its ecosystem; in turn, these others would then affect yet more creatures in completely foreign ecosystems. 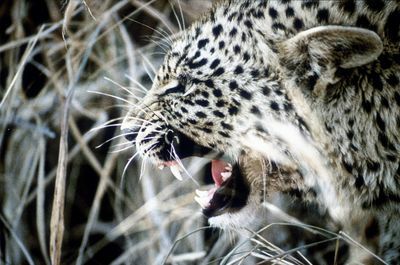 This series also takes a look at some of the issues concerning exotic, highly-sought animals and how their existence or extinction will impact the fragility of life around them. The African elephant is well-regarded for its role in creating and conserving the environment around it. This episode follows the journey of a matriarch, her calf and the herd she leads through an elephant-created habitat in a desperate search for water. Along the way we will see how the herd affects many other webs of life such as that of the Dung Beetle. The Pacific Coast of North America hosts an underwater world of tangled kelp, home to an abundance of life. 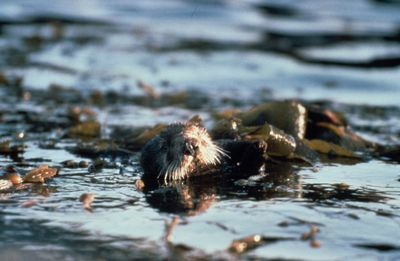 Sea otters are one of the top predators and in this episode, follow the life of a sea otter pup and discover why they really are "keepers of the kelp". Discover the crucial relationship between sea otters and sea urchins, and how it affects life in the oceans. In the margins of the tropical seas, there is a web of life designed to salvage land. This land regeneration process relies on the action of mangrove plants and armies of crustaceans. 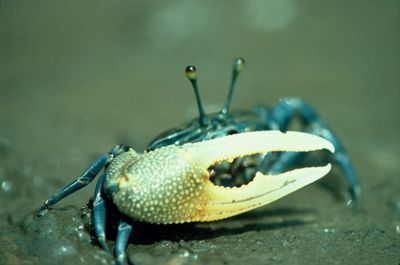 Exploring the decisive role Fiddler crabs play in linking this ecosystem, be amazed by the cycle of the tides and flashing of the Fiddler crabs' brilliant orange and red hues that dominate life at the junction of land and sea. 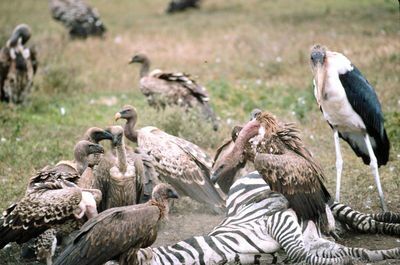 The Kalahari dessert in Southern Africa is one of the most extreme locations on earth but given its harsh reputation, this great expanse supports a wide variety of life. 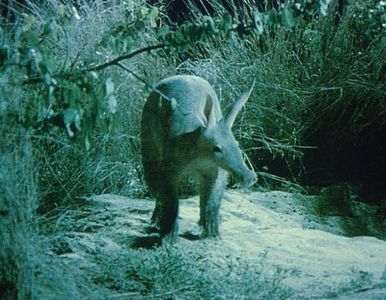 Woven around the nightly jaunts of a charismatic aardvark, see how this creature's outstanding ability to dig and his subterranean lifestyle impact the entire ecosystem. Unfolding the story of evolution on the Galapagos Islands, this episode sheds light on the natural forces and intense natural disasters that have shaped the islands and produced a breed of unique and robust animals. One such animal is the marine iguana which has evolved from land iguana colonists to highly adapted islanders. Discover the relationships marine iguanas share with other immigrant species that have shape the web of life on these islands. 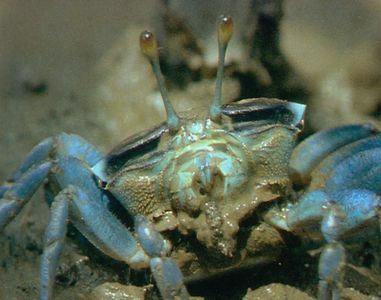 The North Sea has an intricate web of interrelated species that are very vulnerable to change. On the cliffs of the Shetland Islands bordering the North Sea, clown-coloured seabirds arrive for the summer months to breed. This episode follows the fortunes of the puffins as the season progresses and the impact these cliff-nesters have on the web of life. Follow a Grizzly Bear and her cubs in their seven-month quest for food in this exceptional episode that takes place over diverse landscapes. Despite being a top predator, Grizzly Bears are a vulnerable species. The survival of the family depends on the mother's ability to pack on the calories and that means leading them to the right place at the right time. Coral reefs operate like giant living organisms to create one of the richest habitats on the planet. This episode investigates some of the daily dramas of a "Caribbean under the sea" from marauding Reef sharks to spawning coral. Don't miss the mutually beneficial relationships between groupers and wrasses, and the anti-detection techniques employed by Bladefish.Fig Tree - Fruit of the Rainforest. From the minute fig wasp to the mighty piranha, witness the diverse network of life centered around the fig tree. The felling of a fig tree and the effect on the surrounding forest highlights how one tree can support a variety of life forms and thus have its own distinct web of life. Following a troop of Ring-tailed lemurs around the diverse landscape of Madagascar, discover how some lemur species have become so well-adapted that they are literally prisoners of their environments. Lemurs are very territorial and keeping to these strict boundaries has enabled all the various lemurs to co-exist and manage the delicate balance of resources. 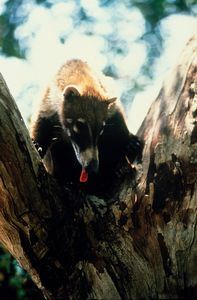 On the coast of Costa Rica, follow a troop of female Coatis and discover the fragility of an existence in isolation when suddenly exposed. 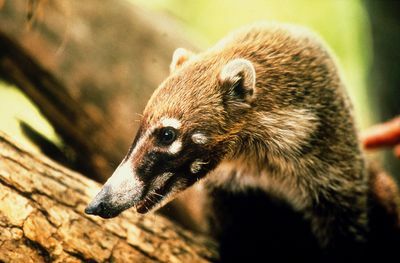 The Coatis inhabit a pocket of dry coastal forest, enclosed by sea and mountains forming, in effect, an island ecosystem. As the seasons change so must the activities of the animals and we will see how ecological balance is maintained under pressures such as dry weather. The Arctic is one of the world's greatest wildernesses - an astonishing web of boom and bust governed by the seasons. There are very few animals that can withstand the perils of an Arctic winter and the interrelationships between those that do carry enormous influence. This episode follows a year in the life of two key players in the Arctic - the Arctic fox and the lemming. Tigers are an endangered species and they have vanished from many of their native territories. On the trail of a tigress and her three cubs in Bandhavgarh National Park in India, discover some of the issues concerning the plight of tigers and how their existence or extinction impacts life around them. Interwoven into their lives are the relationships they share with the other species that inhabit the park such as the chital, langurs and wild boar.